Country: First factory in 1912 - in Germany, moving to the Netherlands in 1919. 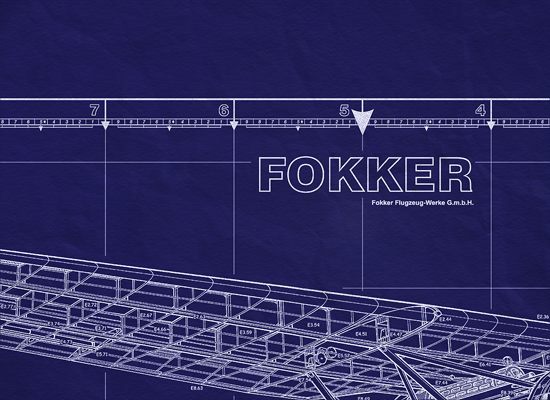 In the 1920s, Fokker became the world's largest aircraft manufacturer. 1912: Fokker erected two aircraft factories in Germany, one in Johannisthal (near Berlin) & one in Schwerin. 1919: Fokker relocates & builds factories in Amsterdam & Veere. 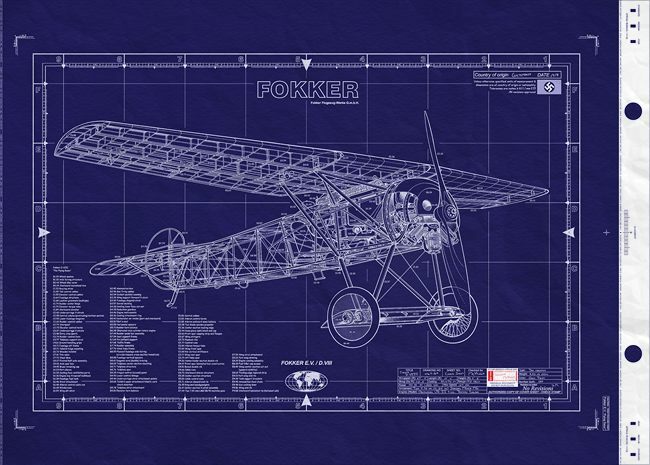 1922: Fokker also builds three factories in the United States. Fokker was named after its founder, Anthony Fokker. Fokker aircraft have played a significant role in the history of aviation. 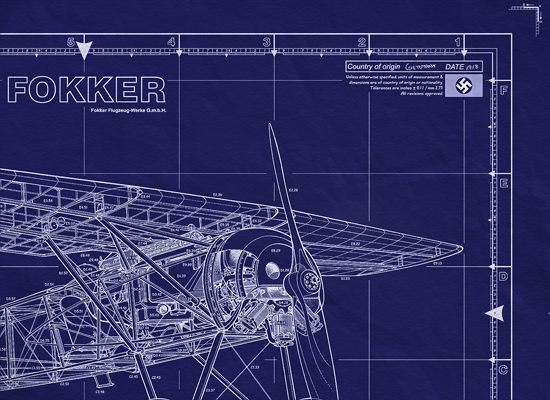 Innovative designs and construction techniques kept Fokker companies at the forefront of aircraft design and manufacture for nearly ninety years. — the Fokker D.VIII series also set a bit of history of its own when it became the last fighter in all of WWI to record an enemy air kill. The Fokker E.V was the last fighter type built by Antony Fokker for the German Fliegertruppe during WWI. The aircraft was a plywood-covered, fully cantilevered parasol wing configuration. This aircraft was specially designed by the Fokker company for the Second Fighter Competition. Continued from above… July the first production planes were delivered to the Front. The performance was impressive and pilots nicknamed the plane the "Flying Razor". Right: The Fokker D.VIII has the distinction of recording the last air kill in the First World War and was often referred to as 'The Flying Razor' by the Allies. Anthony Fokker ended the War as he started, with a monoplane design. Unlike his earlier 1916 Fokker E-III "Eindekker?, this one had a cantilever wing and had no external bracing wires. It combined survivability, firepower and adaptability in a sturdy airframe. The E.V (Eindecker - single wing, model V) aka D.VIII, was developed in response to a fighter competition held in mid-1918. The aircraft was nicknamed the ?Razor?, due to its head-on profile. This final version was regarded as one of the best fighters produced by the Germans during the First World War. The design was unusual and many aircraft were divided among the eventual victors for further study after the war. Perhaps the main item of importance that came from the development of this airplane was the Fokker all-wood cantilever wing, which was used on all his successful postwar designs. The Fokker E.V was the last production fighter of the German Air Service in 1918. It had a troubled start with the problem being traced to poor workmanship in the wing manufacturing shops of the Fokker subsidiary. When gussets and webs were installed correctly, the plywood covered wing of the E.V met and exceeded required specifications. Redesignated as the D.VIII, ( some late examples still labeled as E.V) the type soldiered on even after the end of World War One. It was fleshing out infant air forces in other countries, outwardly they were indistinguishable except by their stenciled serial numbers. In 1918 it was the cutting edge. The E.V was just in time for the Second Fighter Competition (July 1918). The Plane was regarded as the best of the rotary - engined competitors. Production started immediately, and in July the first production planes were delivered to the Front. The performance was impressive and pilots nicknamed the plane the "Flying Razor". But after two flying accidents on August 16 and 19, when a wing failed in flight, the type was immediately grounded for investigation. Production was stopped, and all previously made E.V's were returned to the Fokker factory. The wing structure was strengthened, and workers were more careful with assembly procedures. The aircraft returned to the front during October as the "Fokker D.VIII". 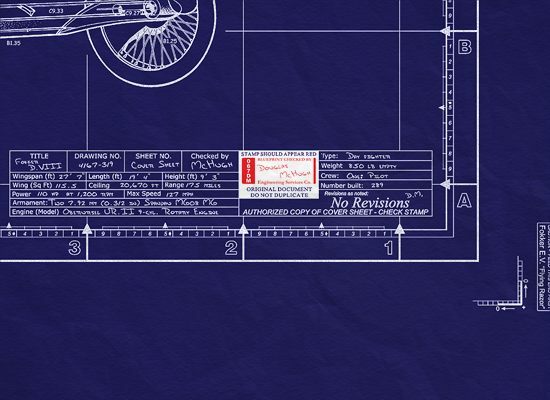 The letter D, which used only for biplanes, indicated that the new wing was twice as strong. But the D.VIII came to late, because the war was ending. Only one victory, achieved by a pilot flying the E.V, had been confirmed; the victory awarded to Emil Rolff from Jasta 6 on August 17. The myth that Fokker smuggled train-loads of aircraft out of Germany, has reached epic proportions. While we know that this was true to some extent, we must try to understand what was happening. First, we know that Germany was out of the aircraft purchasing market after November 11, 1918. It is known that of 335 that were ordered, 289 Fokker E.V/D.VIII had been delivered by 8 Oct.1918. Pending contracts could not be paid for, so the post war German government was more than willing to let Fokker leave with his rolling stock of D.VII, D.VIII and C.I types (some of these having been accepted by the German government were among those spirited away). It's military service continuing after the end of WWI. Eight (four from other sources) E.V's from the Polish Air Forces flew against Russian and Ukrainian forces in 1919. One of these planes was captured by the Red Army and used by the Soviet's until the mid 1920's. Some planes reached Holland, Italy, Japan, the USA, and England as trophies, in total all the E.V's/D.VIII's were scrapped in accordance with conditions set forth in the Armistice. The allied commission was busy destroying aircraft in the field. New aircraft at air parks ready for disbursement went to the allied countries as war reparations (mostly Fokker D.VII and Roland D.VIb types). At least twenty incomplete Fokker D.VIII type airframes were destroyed at the Fokker factory in Schwerin. A further twenty-six complete Fokker E.V/ D.VIII types went to Holland and were sold off by the Fokker company there. Recipients were the Dutch Luchtvaart Afdeling , Polish Air Service and The United States. D-VIII EQUIPPED WITH 110 H.P. OBERURSEL ENGINE.